A critical step in developing this ability is deepening your understanding of how the body repairs damaged tissue. You must recognize specific events that occur following an injury and common signs and symptoms associated with tissue damage and repair. This will help you identify where clients fall in the healing continuum, what sensations and functional changes they might expect, and ways you can both support the restoration of optimal function. We can break tissue healing into three phases: the inflammatory response, repair phase, and remodeling phase. 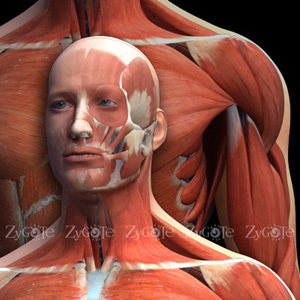 Each phase has a specific purpose and is characterized by common signs and symptoms. INFLAMMATORY RESPONSE Healing begins immediately following a traumatic injury with the inflammatory response. The magnitude of this response depends on the severity of tissue damage and may vary from one person to another. In this phase, injured tissues release chemicals that draw resources to the area, alert the body that damage has occurred, and inhibit function to prevent further injury. Five cardinal signs characterize inflammation and can be remembered with the acronym SHARP: swelling, heat, a loss of function, redness, and pain. The pain sensation produced during the inflammatory response is global (felt in a large area) because it is chemically induced and affects both damaged and surrounding tissues. Clients typically describe constant pain over a broad region that significantly limits function. They may have difficulty isolating the injury location during this initial phase and difficulty resting or sleeping is common. These symptoms continue as long as the inflammatory chemicals remain active within the tissue. A secondary purpose of the inflammatory response is to limit function in the injured area. Forces or activities that injured the tissue must be stopped in order to prevent additional tissue damage. Swelling, muscle spasm, and pain inhibit function and clients typically experience a loss of mobility, strength, and endurance as a result. Alternate movement strategies or compensation (like limping on an injured ankle) may occur immediately following injury. Compensation is normal and necessary to minimize further injury while maximizing function. Educate clients about the purpose of inflammation to help decrease the stress and frustration associated with acute pain and loss of function. The inflammatory response gives way to the repair phase once the injured area is walled off and debris from injured structures is removed. Signs and symptoms of inflammation subside and construction begins to replace or repair the injured tissue. Clients often report more specific areas of pain as the chemicals of inflammation dissipate and healing- processes centralize in areas of damage.